Having a piece of content go viral is every marketer’s dream. The thought of having thousands or even millions of people viewing your content is amazing, and it can take your brand to new heights. That’s what Dollar Shave Club discovered when it released its quirky commercial that went viral on YouTube. That one video put the company in front of millions of potential customers who had never heard of it before. The examples of viral marketing campaigns are endless. But the question is: Why do some pieces of content go viral while others don’t? While there are no guarantee your video, article or meme will go viral, we’ve found that the brands that have succeeded follow a basic framework. Going viral isn’t just about getting your content in front of people, it’s about getting it in front of the right people. When Dove created its Real Beauty Sketches campaign, the brand had a specific demographic it wanted to reach. The Beauty Sketches campaign featured a forensic artist trained by the FBI drawing sketches of real women, not paid actresses or models, based on their descriptions of themselves. Then, the artist drew pictures of the same women based on the description a stranger gave him. The campaign is aimed at women, and touches on a relatable subject: body image issues. By knowing exactly who it wanted to reach, Dove was able to create a viral campaign that resonated with its target demographic. Once Dove was able to establish a connection with the powerful message in the video, it started to spread organically because it was being shared by millions of people who related to the women in the video. Emotion is what compels people to take action. Some people eat when they’re sad. Some people go to the gym after watching a motivational sports movie. The feelings that you get after seeing, hearing or reading something that strikes an emotional chord influences your behavior. And there’s science to back it. Aside from knowing who they wanted to target, Dove’s campaign was also effective because of the emotional connection the video made. The Scarecrow video was made to promote the fact that Chipotle uses natural and fresh ingredients instead of the hormone- and additive-filled products fast food chains have been known for. Everything from the dark and eerie visuals in the beginning of the video to the uplifting scenes toward the end pull at your emotions. 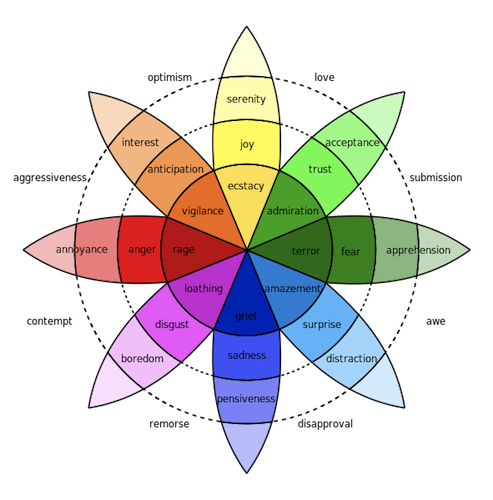 The video touched on almost all eight of the emotions outlined by Plutchik. You start to become fearful and lose trust of what’s being put into the food you’ve been eating. Seeing the hormone-filled chickens or sad cows makes you feel anger, disgust and sadness all at the same time. You feel joy toward the end when the scarecrow brings his fresh products to the market. Start thinking of how you can incorporate more emotional visuals and words into your content to help increase the chances of going viral. You don’t have to create content and cross your fingers hoping someone will share it. Instead, be proactive and make sharing a built-in feature of your campaigns. This is exactly how Dropbox was able to quickly scale to become a multi-billion dollar corporation. The concept is very simple but extremely effective. Dropbox built in a feature that gives users free storage space by referring other users to the service. That incentivized people to share the tool. Companies like Uber and Airbnb have used similar strategies as well. Another twist to this technique is what Google did when it initially launched Google+. When it was first released, not just anyone could get an account. It was done on an invite-only basis. In order to gain access, people took to Twitter and forums begging to get an invite from people who had access. That exclusivity made people want a profile even more, which increased the number of people talking about the new social network all across the web. Content doesn’t go viral unless people are sharing it. The lesson to take from Dropbox, Uber and Google is to ask for the share and people will be more likely to do it. Engagement is key for making content go viral on social media. User generated content takes engagement beyond just sharing and makes it interactive. Instead of just Tweeting out a link to a graphic that your company made, users are Tweeting content that they made while promoting your campaign at the same time. Once their friends and social media followers start seeing what they’re sharing, they’ll naturally want to participate too. The NWA biopic “Straight Outta of Compton” had record breaking box office numbers. 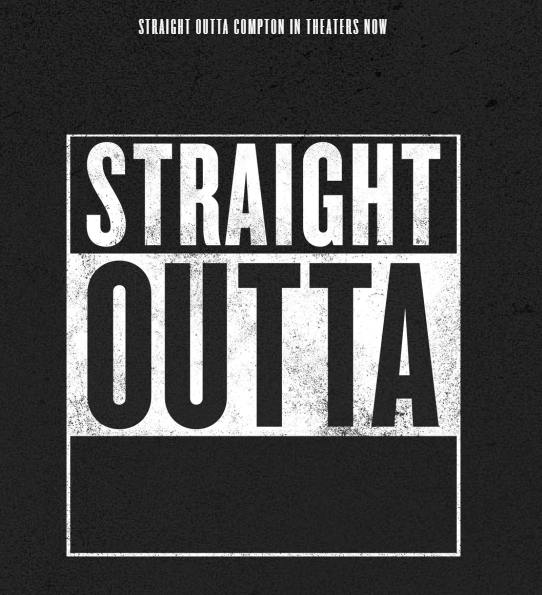 While the movie was highly anticipated and had great reviews, we can’t help but think that the viral “Straight Outta” meme generator played a role in the movie’s success. The marketing effort took advantage of user generated content, by having people create funny memes that were shared all over Instagram, Facebook and Twitter. It helps your audience feel like they’re part of your campaign and, let’s be honest, it’s entertaining. The more people that start sharing user generated content, the wider reach your campaign will have. Put the power in the hands of your audience. Creating highly relevant and useful content is an easy way to increase the chances of going viral. If you can create a piece of content that’s actionable and has practical use, you’ll be far ahead of the game. Notice that all of the headlines and content are very direct, clear and actionable. Someone reading any of these posts can immediately take action on what they’ve read. And because all of the posts have practical advice, people are more likely to share it with their friends because it’s helpful information. Sending out a Tweet or creating a blog post at the perfect moment is a great way to use existing momentum to go viral. Whether we’re talking about the Oreo Superbowl Tweet or the Arby’s Tweet during the 2014 GRAMMYs about Pharrell’s eye-catching hat, there’s no substitution for good timing. In order to time your content to go viral, you have to be up to date on all of the latest events and trending topics. Whether it’s pop culture, world news or sports, being active on social media and seeing what’s popular at the moment will give you the fuel you need to craft your next piece of viral content. Twitter is the ideal tool to see what’s happening around the world at any given moment. Track what’s trending in regards to your industry or just general news. Once you find something that aligns with your brand, craft a piece of content that is related to the topic and memorable. Avoid creating viral content around tragedies or negative events. Try to create content that’s humorous and entertaining. Use a social media management tool like Sprout Social to monitor trending topics from a single dashboard. Always create some type of image or graphic to go along with your Tweets to increase visibility. If you’re Tweeting about a trending topic, don’t forget to use the appropriate hashtag. 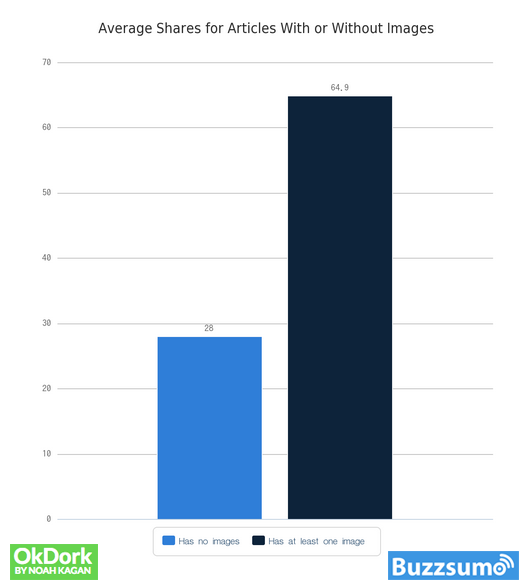 Blog posts, Tweets and Facebook posts with images are more likely to be shared. Buzzsumo did a study of over 100 million blog posts where it looked at the number of social shares each post got, and found several similarities between the most shared content. One of the elements that stood out the most as a recurring theme was the importance of visuals. The study found that posts with one or more images get more than twice as many shares on Facebook and Twitter than those without any images in them. The study also found that infographics were the most shared type of content beating out lists, how-to articles and even videos. What you should take from the study is that you should make an effort to include high quality images in your content. When you share links to blog posts on Twitter, Facebook, Google+ and other social media sites, they’ll grab an image from your post to include. Creating a featured image for your blog posts like the ones you see on our posts helps your content stand out in peoples’ social media streams. Canva is an easy to use tool to help you create social media graphics for free. If you’re using Photoshop or another tool, refer to our up-to-date social media image sizes post to make sure your graphics are sized correctly. Getting influencers to share your content can give you just the boost you need to go viral. The hard part is getting on their radar. A lot of people take the first approach. But if you want to increase the likelihood of getting influencers to discover your content, then you have to take a more proactive approach. That means reaching out and letting them know that you’ve just created an infographic, guide or blog post that you think they would appreciate. This process is called outreach marketing. This video by Moz founder Rand Fishkin illustrates the above methods of reaching influencers in more depth. All of these activities center around serving them, and offering them some level of value. Showing influencers that you appreciate their content and have a genuine interest in connecting with them is much more powerful than asking them to share your content out of the blue. After that initial foundation is built, you’ll notice that you’ll probably be on their radar already and they may start to share your content without even being asked. But if not, you can reach out to them and ask for a share now without looking like a taker. Not every piece of content you create will go viral. In fact, most content doesn’t. But by taking these tips into consideration and implementing the strategies, you’ll increase the amount that your content gets shared and have a much better chance of going viral. Have you ever had a piece of content go viral? Let us know what worked best for you in the comments.